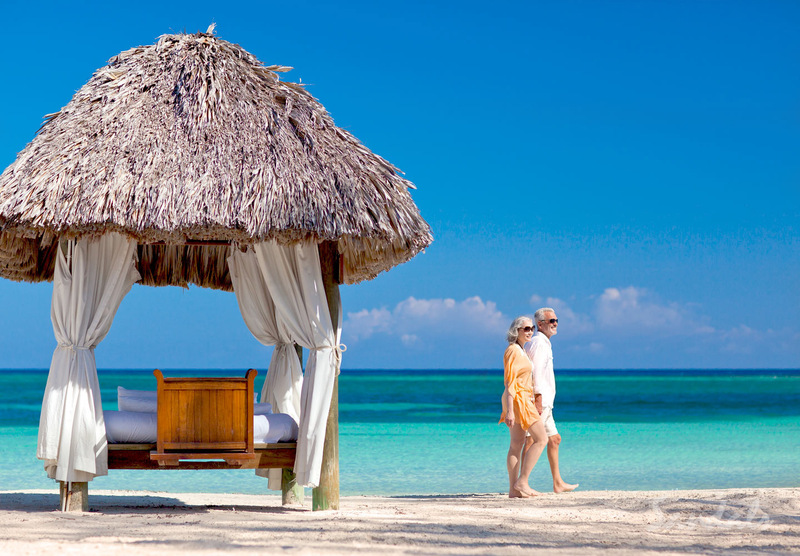 Sandals Montego Bay is Sandals flagship resort and a true original. Spanning the best private, white-sand beach in Jamaica, this playful and romantic resort is where the world first fell in love with Sandals. The calm, reef-protected beach is perfect for every type of water sport and guests can indulge in unlimited dining at nine gourmet restaurants serving authentic regional cuisine. Experience the casual island vibe from the comfort of your private seaside suite where our Butler Elite await to fulfill your every whim. Everything is just steps from water’s edge and, best of all, it’s all included. This quaint 52-room hideaway, surrounded by tropical gardens and just steps from the Hip Strip may be the smallest Sandals but it’s big on charm and huge on value-with an impressive array of amenities for its size. The cozy bed & breakfast ambience of this traditional Jamaican inn is warm and captivating. In a place where everyone knows your name, the famously attentive staff also happens to deliver 24-hour complimentary room service to all guests, assuring breakfast in bed can be a favorite any time of day. Best of all, your Luxury Included® Vacation also includes exclusive “dine and play” privileges at two nearby Sandals Resorts. Like everyone who stays here, the petit Sandals Inn is sure to find a big place in your heart. Voted the “World’s Most Romantic Resort” year after year, Sandals Grande Antigua is located on Antigua’s best and most famous beach, Dickenson Bay. Explore the Caribbean Grove, a charming seaside garden oasis graced by meandering pathways, majestic palms and cooling Trade winds. Then step into a realm of chic sophistication where European grandeur unfolds from the hillside to villas-by-the-sea at the Six-Star, all-suite Mediterranean Village. Come relax on silky-soft, pure white sands and let the warmth of the Caribbean fill your senses. Create your own lover’s legend as you share the most romantic holiday of a lifetime. Two perfect worlds. One grand resort. All included. Ideally located on its very own peninsula, Sandals Grande St. Lucian is often described as the “closest vacation to a picture-perfect postcard.” Cradled to the west by Rodney Bay – boasting the calmest waters in all of Saint Lucia – and to the east by the majestic Atlantic Ocean, this magnificent resort showcases awe-inspiring panoramic views that will linger in your heart forever. Volcanic mountains draped in blankets of green rise majestically from an impossibly clear blue sea. A sheltered mile-long beach extends an open invitation for days of endless water play. This is paradise as it was meant to be, full of natural beauty, rich in history, and resplendent in pure romance. If ever there was an all-inclusive resort that embraces the quintessential Caribbean, Sandals Halcyon Beach is surely it. Here in the midst of a tropical utopia, where majestic palms line a pristine beach and verdant mountains rise from a turquoise sea, you’ll discover a charming and intimate sanctuary that’s the essence of its name… tranquil, peaceful and calm. This is a true Garden of Eden, a place where your senses are elevated by caressing sea breezes, inviting ocean waters, and fragrant tropical blooms. Experience the all-new Beachfront Honeymoon Butler Suites with private deck and plunge pool or indulge in gourmet dining at six specialty restaurants. Understated elegance and exquisitely private, this is Sandals Royal Plantation – an intimate all-butler resort of just 74 ocean view suites tucked into a magnificent coral bluff. You can spend your days lazing by the pool with cool libations delivered right to you by a beach butler. Tee off at nearby Sandals Golf & Country Club, followed by a spot of afternoon tea on the terrace. Renowned for unmatched attention to detail, this enclave of retro-chic sophistication showcases roaming peacocks and manicured lawns. This historic resort has long been a favorite hideaway for the international jet set and literary elite, with the likes of Ian Fleming and Noel Coward seeking its casual island elegance and authentic Jamaican vibe back in their day. Today, exquisite original furnishings and new innovations – like Jamaica’s only champagne and caviar bar – are what make Sandals Royal Plantation one of Ocho Rios’ best all-inclusive resorts. Sandals Barbados, an all-new retreat in the spirited St. Lawrence Gap area, offers undeniable luxury with inventive accommodations spanning three unique villages. This all-inclusive resort features world-class cuisine with international appeal, including a festive Indian restaurant, and innovative bar and pool designs. Unwind to the relaxed calypso beat, enjoy the sun & surf, and explore your luxurious suite designed with your utmost comfort in mind and featuring everything from ocean views, Butler Elite service, and zero-entry access to Barbados’ largest and longest lagoon pool, as well as private Tranquility Soaking Tubs™ on most patios and terraces.